Miami 305 Remodeling has been on the leading end when it comes to the provision of commercial tiling, bath remodeling, kitchen remodeling, and interior/exterior painting services. As a company, we have a lot of experience in the provision these three services to our customers. Our desire is to give you the best customer service so that you can become an evangelist for our products. Go through our customer reviews and you will discover that we are leading from the front. We use a modern business strategy that gives us a competitive advantage in the market. You should not be afraid trading with Miami 305 Remodeling because you are dealing with a legit brand. We have all the required permits to offer the above-mentioned services to our clients. This means that you have a fall back in case your work is not done in the right manner. The team at Miami 305 Remodeling will not engage in any practices that can make us loose our license. We are regulated by the relevant authorities and gave an obligation to comply to the later. Miami 305 Remodeling is also covered by the appropriate insurance cover. Therefore, we will meet all the liabilities that come as a result of working on your project. Customers are not exposed to any form of risk by virtue of hiring our services. We have also insured all our employees. Therefore, in case an accident occurs while we are working on your project, the insurance company will meet all the hospital bills and compensate the employee. Lastly, all our contractors are certified by the relevant boards. This means that people who are working on your project know their work. We have well trained and highly experienced crews to implement your project. These professionals follow all the required standards and procedures while serving our clients. We are very keen about the set standards because it helps us to deliver high-quality services. These qualifications are what makes us to be your number one service provider. There are so many things that help us to provide high-quality services to our clients. First, we use nothing but the best raw materials when working on our projects. Therefore, you can be sure that the results that we provide will stand the test of time. We have also integrated modern technology in our operations to ensure that we are giving you nothing but the best. Modern equipment also helps us to deliver quick results without compromising on the quality of work. No brand is like Miami 305 Remodeling when it comes to offering high quality services. Our professionals always put the needs of our clients before theirs. We seek to understand your needs, taste, and preferences and strive to give you the best results ever. Miami 305 Remodeling crew is highly responsive and works around the clock to deliver services within the shortest time possible. You can trust us especially when you are dealing with emergencies. We are only a call away and will arrive to the site within the shortest time possible. Our company is transparent in our operations. 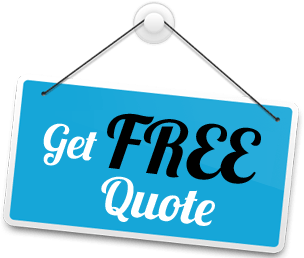 Our billing team will give you a free quotation to help you make a decision. One thing you cannot doubt is that we offer the best deals given the quality of services that we provide. The use of high quality materials, highly skilled professionals, and modern technology allows us to give you value for your money. There are four main services that we provide to our esteemed clients. These include commercial tiling, kitchen remodeling, bath remodeling, and interior/exterior painting. Tiling is one of the best finishes that you can give to your commercial property. However, you need to use a professional approach when working on these surfaces. Commercial tiling can help you in enhancing the demand for your property. Miami 305 Remodeling works on both residential and office spaces for rent. You can be sure that we will give you the best results that will make everyone to run for your rental space. Our experts will help you in choosing the best design for the tiles. The color and pattern of tiles that we choose will represent the way the room will be used. Our team will also help you in choosing the right supplier of tiles and other raw materials. Your surfaces will be top on the game when you use Miami 305 Remodeling services for your commercial tiling needs. The kitchen is one of the most important rooms in any home. No wonder most homeowners will begin by looking at the kitchen before making a purchase decision. As your family size changes, you may be required to do some modifications in your kitchen. In other instances, homeowners just remodel their kitchen to give it a new look. Miami 305 Remodeling will work on any form of kitchen remodeling project. Our team will work on your kitchen floors, backsplashes, lighting system, sinks, kitchen island, ceilings, faucets, and other kitchen fixtures. There is no project that is too big or too small for Miami 305 Remodeling. We will also come to your home irrespective of your location in the region. Homeowners use the bathroom on a daily basis. There is no day you will go out before taking a shower. Modern bathroom remodeling trends allow you to have a highly functional space. You also need your bathroom that is beautiful and comfortable. Nowadays, people spend a lot of time in the bathroom because of the high level of comfort. Miami 305 Remodeling professionals will make sure that your new bathroom has a modern look that your family members and guest will love. The bathroom will also be able to meet all the needs of your house well. We will make sure that your heating and cooling system and drainage system is working properly. Miami 305 Remodeling experts will also make your bathroom energy efficient. We also use environmentally friendly procedures in implementing all our projects. The desire of our team is to make sure that you are comfortable with what we bring your way. Trust us with your bathroom remodeling project and you will have no regrets. Painting is best left to professionals and Miami 305 Remodeling does it best. We have the best choices when it comes to painting your interior and exterior surfaces. Our team will use modern technology and a high level of expertise to implement your project. We work with the best paint suppliers in the region and you can be sure that your new surfaces will stand the test of time. Our painting experts will also make sure that your paint blends well with the overall appearance of your home. Thanks to Miami 305 Remodeling.